Ryan* and Jamie*, both in their 40’s, were looking to adopt their second child after adopting their first child10 years earlier. Originally they had planned to adopt soon after their first adoption, but the time and effort required with their son delayed their plans. Although surprised to have to do another PRIDE training, they were ready and thrilled to be adopting again. Soon after, they were presented with the opportunity to adopt two brothers. Ryan and Jamie said… “we declined at the time, as we were hoping for a daughter and hadn’t yet considered adopting a sibling group”. Over many months, Ryan and Jamie attended a number of A.R.Es but were not able to find a suitable match. A few months later, Ryan and Jamie were approached again about the brothers. The brothers had been through a disruption (a prospective adoptive family had met with the boys on several occasions and decided not to pursue their adoption) and were desperately in need of a permanent home. As the boys were beautiful and bright, over 40 families, attending an A.R.E., expressed an interest in adopting the boys. After meeting with the brothers several times, Ryan and Jamie knew that they were meant to adopt these boys. It has now been a couple of months. Ryan and Jamie feel so lucky to have been chosen to be their parents. They absolutely love the boys. Often they think of the other families, hoping that they have been successful in adopting. Ryan and Jamie’s experience is an example of the system working for awaiting parents and children. The persistence of the CAS to match these boys and the openness of Ryan and Jamie resulted in a permanent home for them. Now, in becoming parents to three boys, Ryan and Jamie are blessed with a full family and a lifetime of joy. Define what you want from adoption and be specific. Be willing to consider adoptees out of your comfort zone but be sure to explore their needs fully and whether you can help them. Take time to meet as many adoption workers as possible from various cities. Impatience can adversely impact your workers impression of you. 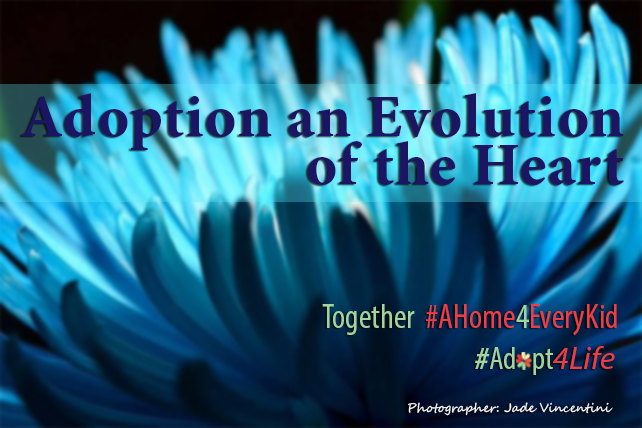 Demonstrate your capability to address the needs of adoptees. Disclaimer "These stories are the perspectives of awaiting parents. Adopt4Life aims to give parents a voice, and as such stories remain unchanged even if they may appear controversial. It is the hope of Adopt4Life that by bringing awareness to the thoughts and feelings of families, together we can work to bring change that benefits everyone."